Legal Times reported on June 12 that the Justice Department had moved to dismiss claims brought by a group of Native Americans who are hoping to recover Geronimo's remains. 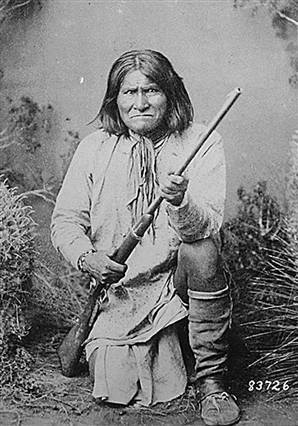 See "Geronimo's Descendants Sue to Get His Skull Back," Lowering the Bar (Feb. 18, 2009). The plaintiffs named the federal government, Yale University, and the Skull and Bones society as defendants in the lawsuit, based on persistent rumors that the skull (if there is one) inside the Skull and Bones "crypt" is in fact Geronimo's noggin. The plaintiffs include Geronimo's great-grandson — Harlan Geronimo — and others who claim that a group of Yale men stationed in Oklahoma during World War I broke into a burial ground and took the skull (and, possibly, bones). The group that allegedly stole the remains of the famous Apache leader is said to have included Prescott Bush, whose grandson, George W., later became a famous Caucasian leader. The government is apparently asserting sovereign immunity.